Order your Sterling Compass Cufflinks today from FahrneysPens.com. Fine Pens, Refills & Luxurious Gifts – great prices & fast shipping. 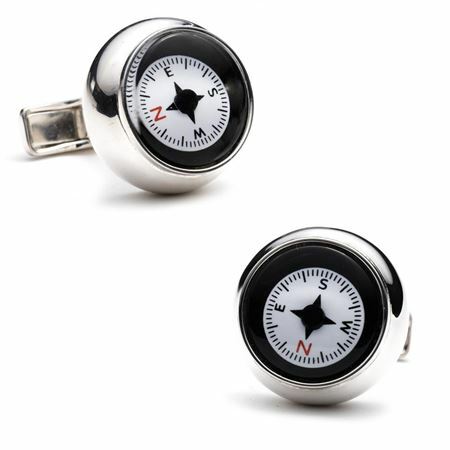 These classic maritime themed Compass Cufflinks feature real working compasses. Clean black and white compass face floats in a heavy duty sterling silver cufflink bezel.